If you feel like you�ve seen this gorgeous little number somewhere before, you�re right. We launched this frill control swimsuit last year in our Sunkissed collection and it flew off shelves. And the reason people love it so much? It�s. Just. So. Flattering. 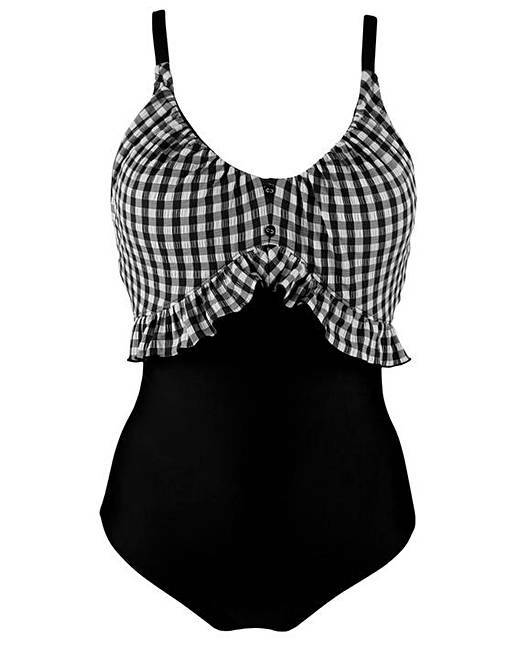 It�s proved so popular that we just had to recreate the style in our on-trend Checkers gingham print, but don�t worry - that�s the only thing about the swimsuit that�s changed. There�s still a power mesh lining to hold you in as well as an integral bra shelf and moulded cups to give you amazing lift and support. 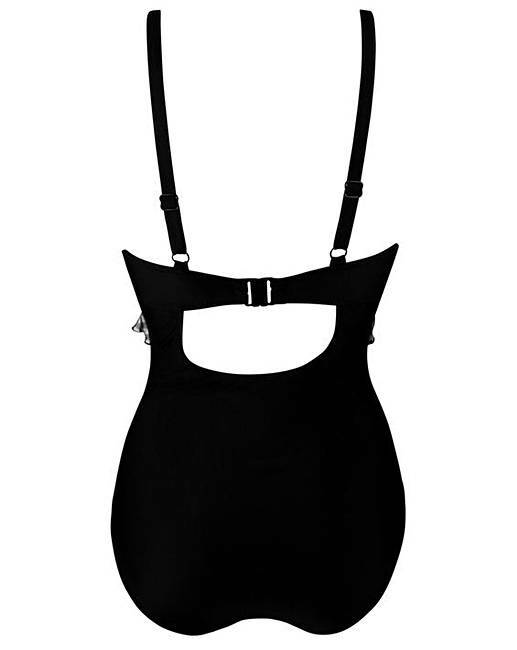 The elastic on the neck edge means it will accommodate a variety of bust sizes, while the mix of print with the block of black in the main body gives you a fabulous hourglass figure. And the pretty frill detail? Well that just finishes off the look perfectly.